2020 Pre-Season Sale- Payment plans are available, please open a support ticket. Financial Assistance will be available September 1st. Adults, buy your membership first and then the rest of the Family. 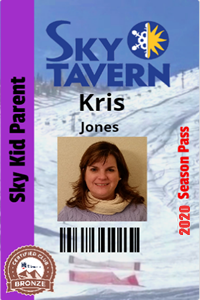 SkyKids (4-5yr Old) must have at least one parent who participates in the program. Parents work one-on-one with another child with the help of Certified Instructors, while their child receives instruction from a different parent. This proven method is very successful at Sky Tavern. Every SkyKid has a SkyKid parent but the SkyKid parent can have more than one SkyKid. Reno's only Olympic Gold Medalist, David Wise, got his start as a SkyKid. Every SkyKid has a SkyKid parent but the SkyKid parent can have more than one SkyKid! 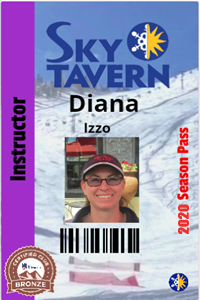 Support Members are adults who participate in making Sky Tavern happen but are not instructors. 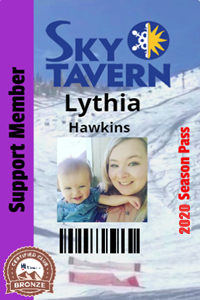 Support Members are parents that want to ski or snowboard. 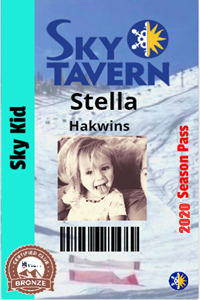 This pass gives you access to the lifts and gives you a chance to keep up with your kids on the slopes. Support members are required to volunteer 2 hours per day, helping in everything from the parking lot to the kitchen. We are all volunteer! 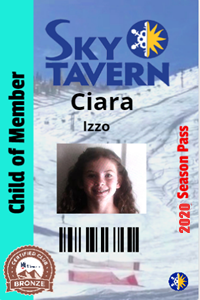 Sky Tavern exists because of our members! A Child of a Member is a child that has an adult registered with them. ALL Child of Members MUST have an adult registered with them. Sky Tavern DOES NOT allow drop offs. 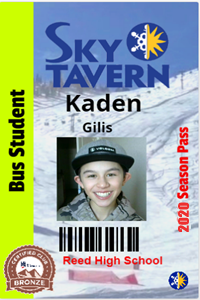 If there is not an adult, then the child is a bus student and must be at least 9 years old (additional fees will apply). AN ADULT MUST BE REGISTERED WITH THE CHILD. THERE ARE NO DROP OFFS. Members Only are adult members who are there to help and usually are bringing up a kid or more. They are not skiing or boarding. This membership will not allow lift access. Member Only's are required to volunteer 2 hours per day, helping in everything from the parking lot to the kitchen. We are all volunteers! 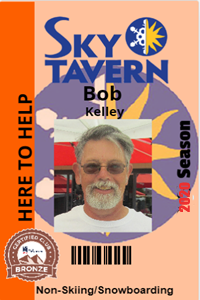 Volunteers are what makes Sky Tavern, SKY TAVERN. 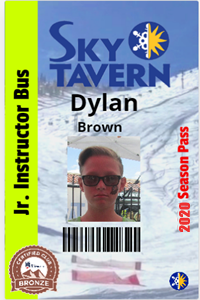 Bus Supervisor are adults who ride the bus with students to and from Sky Tavern. This also gives them access to the lifts to ski. 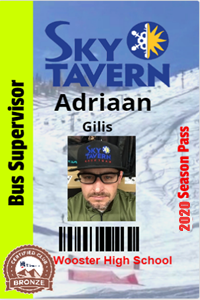 If you want to be a bus supervisor but not ski or Snowboard, select Member Only and please contact the office. 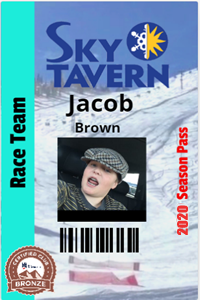 at 775-323-5125 or info@skytavern.com. As a member of the Tahoe League Race Series and USSA Far West, kids learn to carve gates. Race team fees include a t-shirt, fleece and jacket rental. They also cover additional cost like early loads, equipment specifically for the Ski Team, etc. To join the team, the child MUST be approved by the coach. 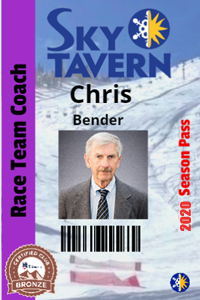 To race, the racer will still need to purchase USSA membership, fees are separate. Jr. Instructors are those who teach classes (2 hr in the morning) in skiing or boarding, this is what it's all about! 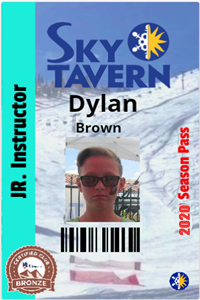 This membership gives you access to the lifts. Instructing is fun and will change your life for the better. Give it a try. This matters. 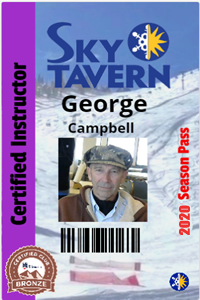 Sky Tavern Instructors are the keystone of it all! Jr. Instructors are those who teach classes (2 hr in the morning) in skiing or boarding, this is what it's all about! This membership gives you access to the lifts. Instructing is fun and will change your life for the better. Give it a try. This matters. Bus fees are paid per day. Instructors are those who teach classes (2 hr in the morning) in skiing or boarding, this is what it's all about! We can teach you to teach! This membership gives you access to the lifts. Instructing is fun and will change your life for the better. Give it a try. This matters. Instructors have lessons in the afternoon. PSIA/AASI Must have Certification Number. Must be current. Certified Instructors really help us run the program. They are those organize and teach classes in skiing or boarding, what this is all about! This membership gives you access to the lifts. 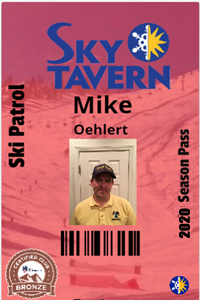 Ski Partrol are adults who participate in making Sky Tavern safe while everyone enjoys the mountain.